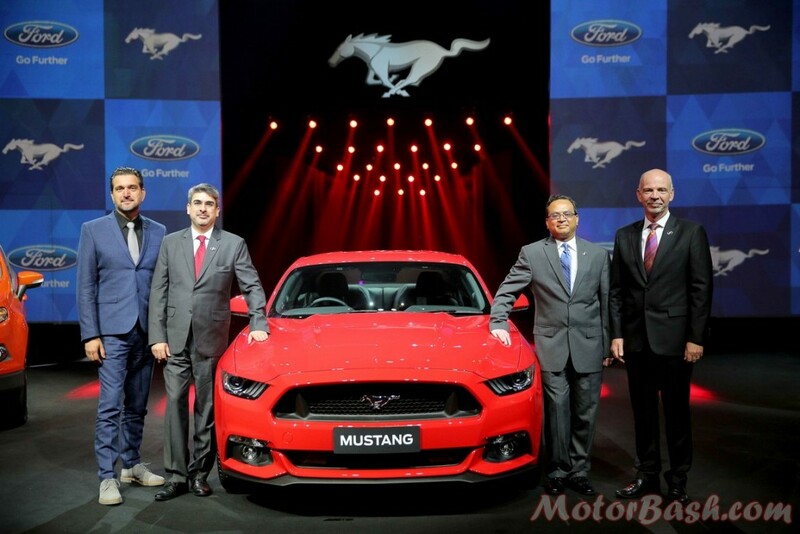 Update: Ford today has finally launched the Mustang in India for an eye watering Rs 65 lakh price tag (ex-showroom, Delhi). The Fastback’s output though has been reduced to 401 PS of power and 515 Nm of torque. 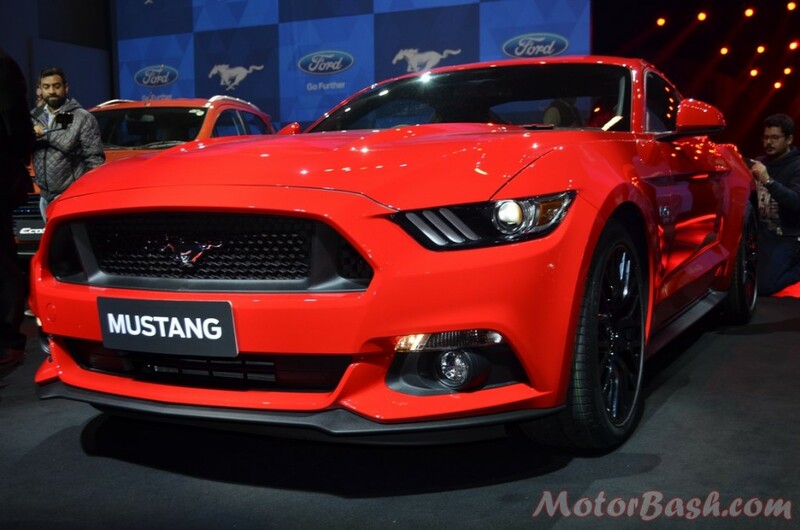 Mated to this 5.0 litre V8, the Mustang in India will be available with a 6 speed automatic gearbox. Availability initially though will be limited only to Delhi and Mumbai. 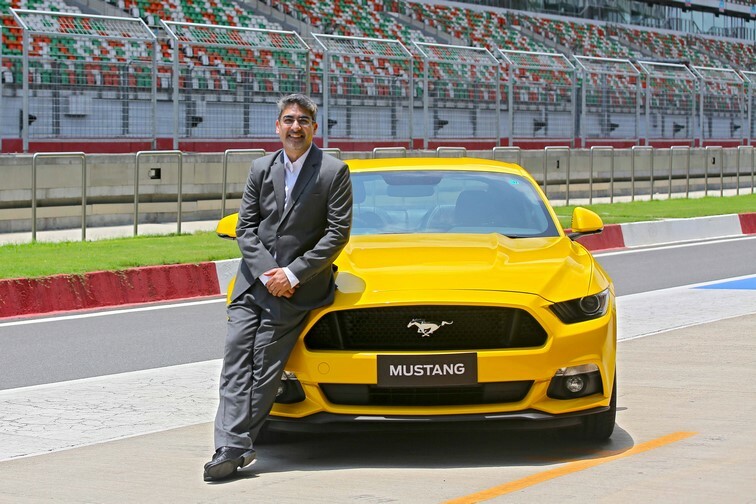 It was in the air for long and Ford has finally brought the legendary Mustang brand to India which has recently seen the introduction of a Right Hand Drive version. The iconic American masterpiece will hit the streets in the second quarter (between July and September) of 2016 and will be a niche product for brand building only. 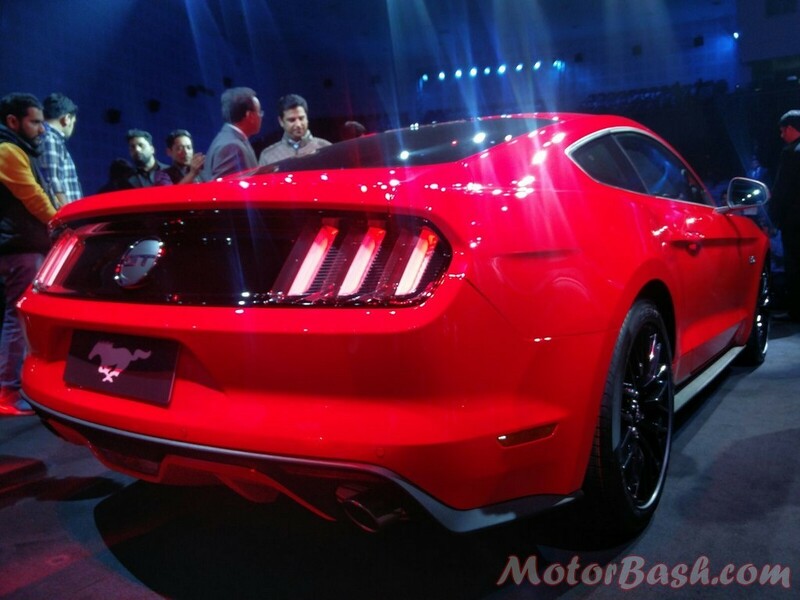 Ford will bring the Mustang only in the GT variant and will also showcase it at the upcoming Auto Expo. The Mustang GT is powered by a 5.0 litre V8 with an upgraded valve-train and cylinder heads to produce more than 420 hp of power and 529 Nm of earth shaking torque. A new intake manifold has been included to improve low speed drivability helping in better fuel economy. Mated to this is a 6 speed automatic gearbox. A performance package will be available as standard in India which includes bigger brakes and stiffer suspension. The car gets a new independent front and rear suspension which helps in improving shoulder and hip room for rear seat passengers. This has also helped in increasing the boot space which can now swallow two golf bags. The new Mustang also gets Electronic Line Lock which will jam the front brakes while keeping the rear ones free allowing you to floor the accelerator and spin away to glory! It also gets select Drive Modes so that you can toggle between normal, snow/wet, sport and track modes. Ever since its introduction in 1964, the Mustang has sold over 9 million units globally and has been at the centre stage in several movies, TV series and songs. Can this modern day interpretation of the classic American icon win hearts here in India?